The walking football phenomenon passed a new milestone as the EFL Trust staged the first national women’s competition at St George’s Park. 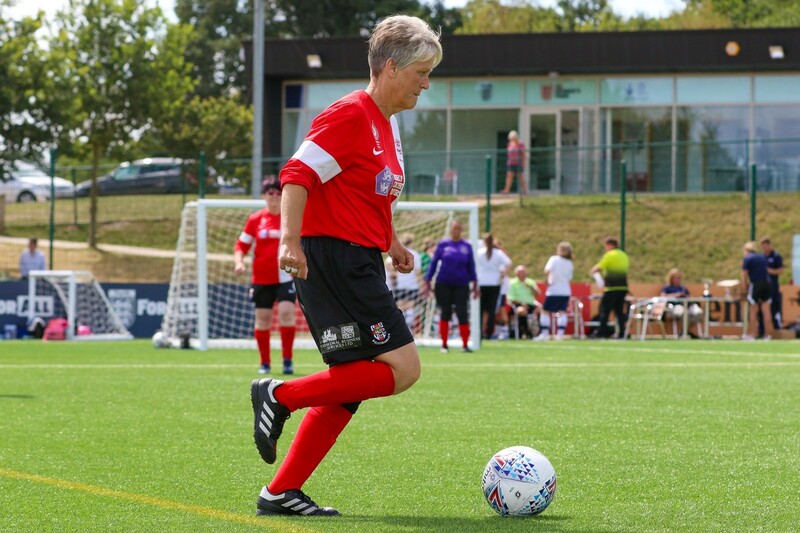 Over 60 women, all aged over 50, took part in the event which featured six teams all representing their local EFL club, each playing seven games in total. Walking football, the slow-paced, non-contact version of the sport, has played a huge part in helping the older generation maintain a healthy active lifestyle, with more than 1,100 walking football clubs active across the UK. The men’s national Walking Football Cup has run since 2015 and earlier this year the Amex Stadium in Brighton staged a first walking football international between England and Italy. But, up until now, there has been no equivalent high-level national event for women. The inaugural EFL Trust Women’s Walking Football Cup filled that void, with Lincoln City, Preston North End, Bradford City, Birmingham City and two Crawley Town teams all competing for the trophy. Birmingham City were the winners, defeating Crawley in the final after a penalty shoot-out. Lorraine Robinson, formerly a full-time player with Aston Villa and Birmingham City Ladies, was part of the winning Blues team. She said: “I stopped playing the game 10 years ago after a career at Aston Villa and Birmingham City, and then came across walking football through one of my friends here today. The FA, EFL Trust, Premier League and the National League are now working in partnership to increase opportunities for more women to play walking football across England. Rachel Pavlou, FA National Women’s Football Participation Manager, commented: “The exciting thing is that we contacted all of the clubs before this and a large number have already said that they want to start women’s walking football sessions.